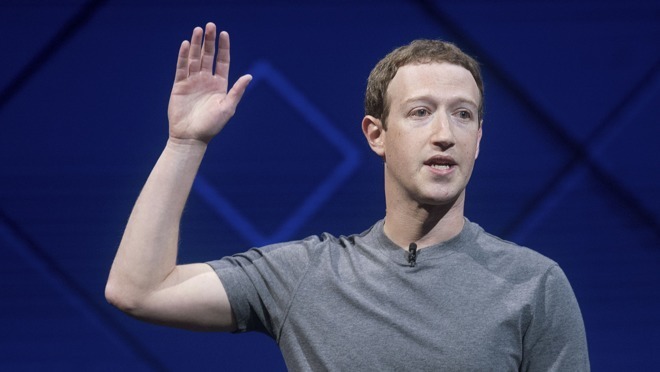 Social media giant Facebook admits it had data-sharing partnerships with Apple and many other device manufacturers over a period of years, granting third-party access to users' personal data before the company made apps available on iOS and Android. According to a New York Times report Sunday, Facebook reached data-sharing deals over a period of several years with "nearly 60" device makers, including such major tech companies as Apple, Amazon, Microsoft, Samsung and BlackBerry/Research in Motion. Some of the deals remain in effect, although 22 were shut down following this spring's Cambridge Analytica brouhaha. The Times report also stated that while Facebook had stated previously that the sort of data sharing given to Cambridge was cut off by 2015, electronics hardware makers were exempted. Facebook, however, told the newspaper that it "strictly limited use of the data," and that "they knew of no cases where the information had been misused." The story does not make clear exactly how much data Apple shared, or how deep the sharing went. An Apple spokesperson stated that Apple "relied on private access to Facebook data for features that enabled users to post photos to the social network without opening the Facebook app, among other things." However, Apple cut off that access last September. According to the report, Facebook's privacy sharing policies granted certain manufacturers access to individual users data including information on relationship status, events calendar events, religion and political affiliation. Device makers could also access data on friends who declined to share their information with outside parties, the report said. Following the Cambridge Analytica scandal, Apple's Tim Cook was especially tough on Facebook. In the Revolution: Apple interview that aired on CNBC in March, Cook said that he "wouldn't be in this situation" that Facebook's Mark Zuckerberg was in at the time. Cook said in the same interview that Apple doesn't consider consumer data a source of income.